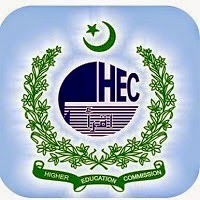 HEC AHBP(AGHAZ E HAQ BALUCHISTAN) Scholarship for Balochistan students in almost every field. All scholarships will be awarded on merit. Candidates will be short-listed on the basis of scholarship Test and Academic credentials scores and may be called for interview. Applicant must possess Local/Domicile certificate from Baluchistan Province. Candidate must have completed 16 years of education (Bachelor/Masters). Candidates must have secured at least 50 marks in scholarship aptitude test arranged by HEC. At least two Certificates/Degrees must have been studied in and obtained from HEC recognized Universities/DAIs located in Baluchistan province. For Medical disciplines, applicant must provide the valid Pakistan Medical and Dental Council (PMDC) registration certificate. For Engineering disciplines, applicant must provide the valid Pakistan Engineering Council (PEC) registration certificate. Maximum age is 40 years for full-time regular faculty members of public sector.35 years of age for those who have MS/MPhil (18 years) degree and applying for PhD Programmed; 3)30 years of age for those who have MA/MSc/Bachelor (16 year) degree and applying for MS/MPhil leading to PhD. The program is meant to provide 600 Master leading to PhD scholarships (200 overseas and 400 indigenous) to talented students of Baluchistan. Attested photocopies of all educational testimonials. Test will be conducted by HEC on 5th July, 2015. The exercises like smoking are malicious for the understudies that can annihilate one's life in a matter of seconds. Lethal fags are demolishing school youngsters' life click the link who midriff their pocket cash on smoking and making the fate of the world most exceedingly awful. I concur with your announcement about well being's significance for people as you clarified well in this article. Individuals can't discover numerous valuable tips about well being from some other article since, I made a decision about that you have proclaimed a great ideas here deal of useful hints. Excellence parlor is the best spot to prepare for any kind of capacity like wedding gathering and birthday party. Exceptionally, this spot https://www.mbadissertation.org/sample-of-dissertation-on-itil-as-a-complimentary-tool-prince2-project-management-a-research-analysis/ is the best spot of youthful just as for elderly people ladies the same number of most recent and specialized things like hair straighter machines are accessible there. In this period, understudies should make themselves arranged to do any physical and mental work like work in the age lines or wherever else. This is the need of you could try these out this period since, everybody can't locate a raised want work out of the blue after the fulfillment of direction. In clear fitness direction, an understudy finds a few solutions concerning the particular calling. Like, a specialist plan and a pilot, and so forth… today the click here for more which were viewed as limitless in the past are before long being done effectively just with the assistance of direction.